Netflix and other streaming services provide access to a world of television and movies on demand. Now, you can watch a TV show or movie any time you like — or at least any time you're connected to Wi-Fi or willing to ignore the price of going over your cellular data cap. When you're without a connection to your favorite shows, it's practically like being in the Stone Age. But recently, Netflix announced that subscribers can download select content to watch offline. Netflix isn't the first streaming service to offer downloading. Last year, Amazon started letting Prime members access streaming content offline.While offline viewing is still uncommon among streaming services, Netflix and Amazon offer multiple download options at no extra charge, and if you want to buy content to download, Amazon, Google Play and iTunes have you covered. Before you start downloading, there are a few things to keep in mind. While streaming uses no space on your device, downloading does. When you start loading up your smartphone or tablet with content, be mindful how much space you have available and delete things you won't watch again. Each streaming service allows you to choose between standard definition (SD) and larger high definition (HD) files. With streaming services, you'll find the download quality options in Settings; when you purchase content, you'll choose which quality you want to buy when you make your purchase. Streaming services have a fixed monthly cost, and both Amazon Prime and Netflix's downloads are included in your subscription at no additional charge. Shows not available for download can be bought outright from Amazon, Google Play or iTunes. Costs vary a great deal. TV episodes typically run about $1.99 for SD and $2.99 for HD, and whole seasons range from $10 to $50. Movies are typically priced in line with DVDs (for SD quality) and Blu-rays (for HD quality). One advantage of buying content instead of relying on downloads from a streaming service is quick access to content. You'll get newly released TV and movies, so you can keep up with the latest shows. Amazon, Netflix and Google Play don’t allow downloads to laptops or computers, just iOS and Android devices (and Chromebooks, for Google Play). If you want to watch offline on something other than a mobile device, your only option is to buy a digital copy. You can't watch downloaded material forever. While the period you have to watch a download varies, both Amazon Prime and Netflix only let you watch for so long. Check your viewing time remaining in Netflix's My Downloads section. Amazon shows a warning when a download is about to expire. Some DVDs and Blu-rays come with digital downloads. If you want to be able to watch your favorite movie both on disc and digital formats, check if there's a version that comes with both. You'll find that option for most major movies, and while it costs a few dollars more, it's usually less than the cost of buying disc and digital versions separately. Got that? Now let's walk through what you can watch and how you can watch it even without Wi-Fi from each service. What's available? Netflix Originals and a lot of other content, including “Breaking Bad,” “Parks and Recreation,” and every episode of every “Star Trek” TV show. What does it cost? It's included with any Netflix subscription. What can I watch it on? Android and iOS devices. What do I need to do? Download the Netflix app on your device (for Android and iOS) and click on the Available for Download option in the menu. You'll see everything available for download. Just click on what you'd like to watch, and then click the download button. A circular progress meter will appear. 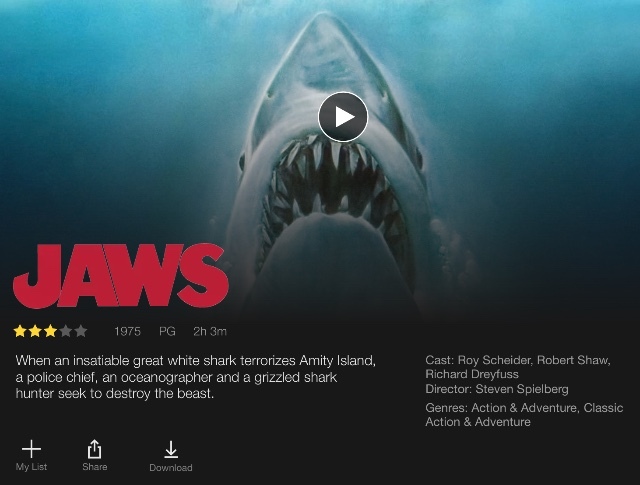 Once it's filled up, the icon changes to a check mark, and the show or movie will be available to watch offline. What's available? Amazon Originals and a variety of other content. What does it cost? It's included with Amazon Prime. What do I need to do? Download the Amazon Video app from the app store if you're on iOS. Amazon's Fire tablets already have the app; for other Android devices, get it from the Amazon Appstore, which you'll need to download first.Once you have the Amazon Video app, open it, enter your Amazon account information, then browse videos until you find one you want. Click it, and then click the Download button. Unlike Netflix, downloadable content isn't listed in its own section, so you'll have to check anything you're interested in one video at a time, but you'll find plenty of content, even though you do have to go looking for it. What's available? Nearly all current TV shows (with episodes typically available the day after original airing) and movies (typically available after their DVD/Blu-ray release), as well as older content. Basically, if you can buy it on a disc, you can buy it digitally through Amazon. What does it cost? Costs vary. Expect TV episodes for $1.99 for SD quality and $2.99 for HD, with whole seasons from $10 to $50. Movies are typically priced in line with DVDs (for SD quality) or Blu-rays (for HD). Some titles are also available to rent, ranging from $2.99 to $5.99. 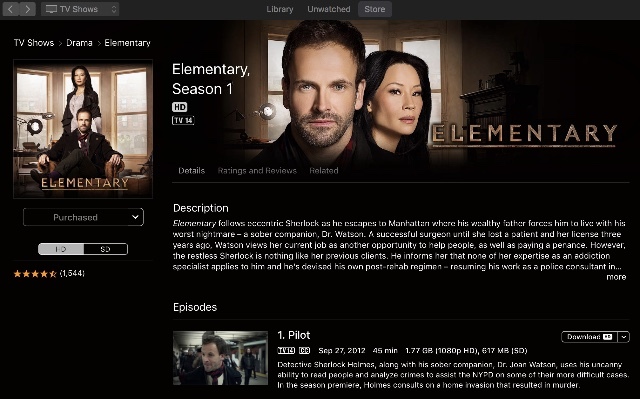 Note that Apple owners cannot buy from the Amazon Video app on a mobile device; instead, you must buy through the Amazon website and then download it to watch in the app. What do I need to do? 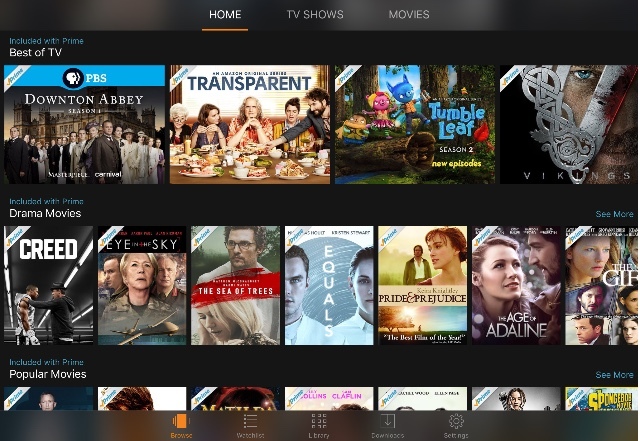 Just like with streaming, download the Amazon Video app first. For Apple users, get it from the app store. For Android users, download the Amazon Appstore, and then get Amazon Video from there. (Fire tablet users already have the app loaded.) Browse videos through the app or Amazon's web page, and click Buy when you find something you want. (Apple users can only shop on the web page, not inside the app itself.) All your purchases show up in the Library section of the app, where you can click the Download button to download them to your device. What's available? Nearly all current TV shows (episodes typically available the day after original airing) and movies (typically available after their DVD/Blu-ray release), as well as older content. Basically, if you can buy it on a disc, you can buy it digitally through iTunes. What does it cost? Costs vary, but expect TV episodes for $1.99 for SD quality and $2.99 for HD, with whole seasons from $10 to $50. Movies are typically priced in line with DVDs (for SD quality) and Blu-rays (for HD). Some titles are also available to rent, ranging from 99 cents to $5.99. What can I watch it on? Laptops (Mac or Windows) and iOS devices. What do I need to do? Windows users should start by downloading iTunes, which comes pre-installed on Apple devices. On a Mac or Windows device, open iTunes and navigate to Movies or TV category using the drop-down menu in the top left. Then select Store from the menu bar. Now you can browse for whatever you want. Make your selection, click Buy, and then Download. On an iPhone or iPad, buy using the preinstalled iTunes Store app. Select the movies or TV category at the bottom of the screen, find what you want, and click Buy and then Download. To watch, open the Video app; anything you've downloaded should automatically appear. No matter where you buy, you'll be able to watch it on a compatible device. What's available? Nearly all current TV shows (episodes typically available the day after original airing) and movies (typically available after their DVD/Blu-ray release), as well as older content. Basically, if you can buy it on a disc, you can buy it digitally through Google Play. What does it cost? Costs vary, but expect TV episodes for $1.99 for SD quality and $2.99 for HD, with whole seasons from $10 to $50. Movies are typically priced in line with DVDs (for SD quality) and Blu-rays (for HD). Some titles are also available to rent, ranging from $3.99 to $5.99. What can I watch it on? Android and iOS devices and Chromebooks. What do I need to do? Buy content in the Google Play store on the webor via the preinstalled Play Store app on Android devices. (As with Amazon, Apple users can only shop from the web page, not the app.) Browse content and select what you want to buy. 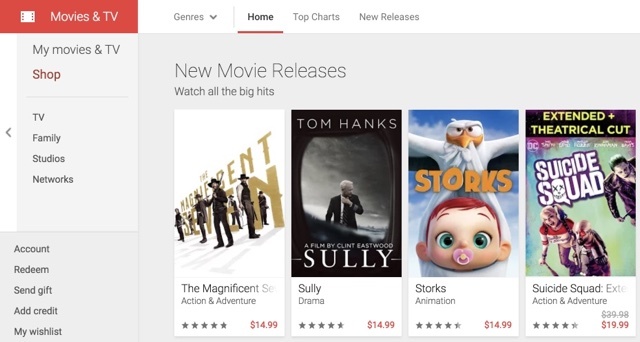 Purchased videos will appear in your library in the Google Play Movies & TV app on Android or iOS. Click the download icon to download the content. On Chromebooks, get the Google Play Movies & TV extension for Chrome. You'll be able to browse your library and download anything by clicking the download button. YouTube does not provide an authorized way of downloading videos, but it can be done. For more on downloading YouTube videos, check out our story on The Best YouTube Video Downloaders. Allavsoft is just the best Netflix downloader for Mac and Windows version.With Allavsoft, you can directly and batch download Netflix movies to MP4, AVI, MOV, MP3, WMV, MKV, MPG, VOB, DV etc. 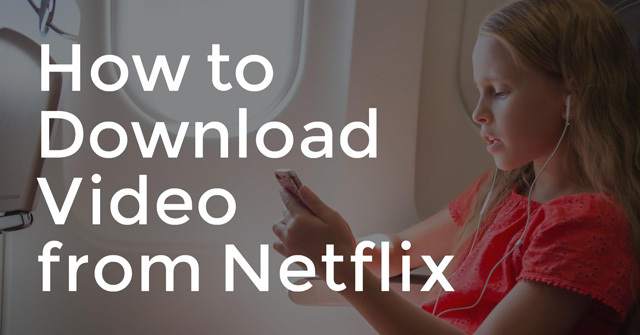 Besides downloading movies from Netflix, it also can download video, music video from Hulu, Amazon, and more video sharing websites.